"Follow the Women: Freeing Dialogue" is the title of the GTU's 2018 Distinguished Faculty Lecture. 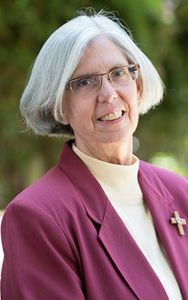 This year's featured speaker will be Dr. Marianne Farina, CSC, professor of philosophy and theology at Dominican School of Philosophy and Theology. Her lecture will focus on how women’s voices challenge and reinterpret our understanding of interreligious dialogue. The perspectives that emerge have far-reaching implications for the theology and practice of dialogue. A response will be offered by Dr. Rita Sherma, director of the Center for Dharma Studies. Reception will follow at the Bade Museum.